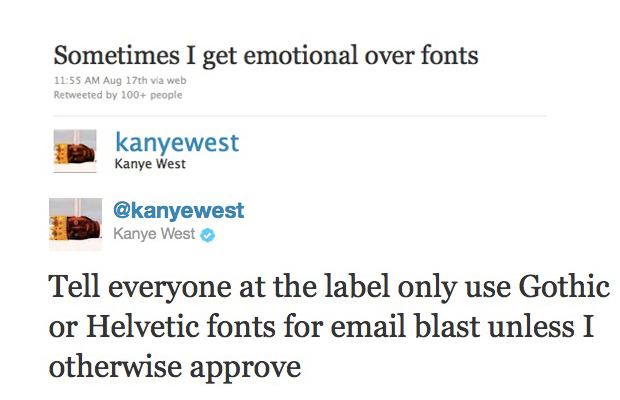 Since joining the Twitterverse in 2010, Kanye West has kept the world in tune with his personal feelings. 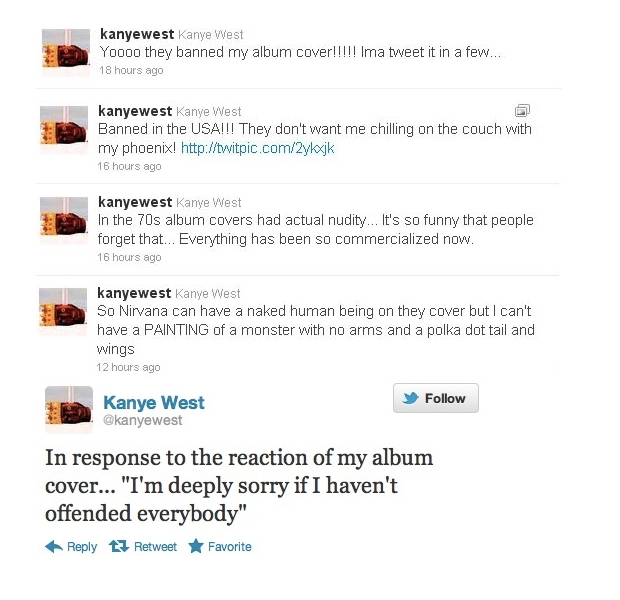 Sarcastic, narcissistic, hilarious, informative, and uncensored—the entertainment value of Yeezy’s tweets have become so priceless that the social media conglomerate monitors the microblogging site just to see what rant he’ll go on next. 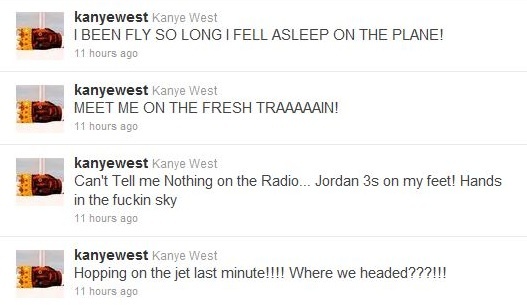 But on October 4, 2012, the “voice of this generation” shocked the world after posting “Be Back Soon” on his personal Twitter account. 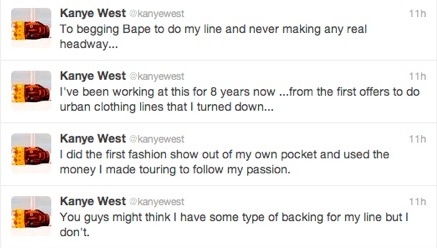 Though he returned a day later to pay homage to Steve Jobs, Ye’ hasn’t been back since. In coping with his Twitter absence, we can only imagine what’s going through his head, especially when taking into account some of his most recent incidents. You know, that whole paparazzi/Reggie Bush thing. 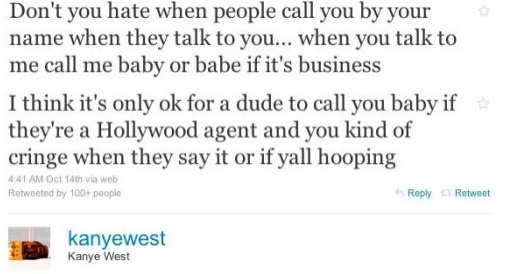 With 140 characters at his fingertips, Ye’ is liable to stir up some controversy and garner the attention of the masses at will. And that’s just what he’ll continue to do when he’s ready. 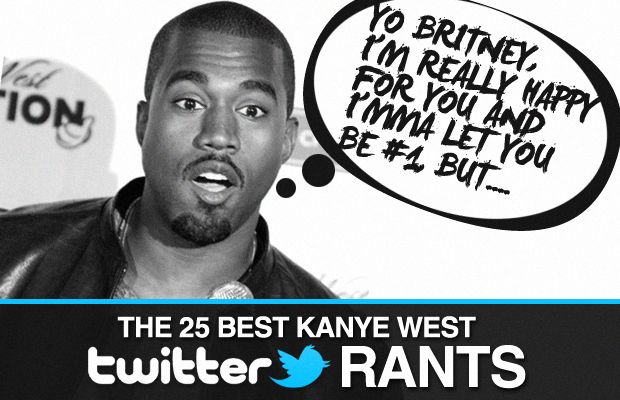 So as we anticipate the college dropout’s official return, we reminisce for a bit by looking back at the 25 Best Kayne West Twitter Rants.